I tried to do a BIOS update from Windows. Flashing finished without an error so I decided to reboot. The tablet shut down and… never turned on again. Nothing of what I tried had any effect, the tablet remained dead. Not A sign of life. So I decided the BIOS flash must have gone wrong. What now? After some research I found that there were more people with the same problem, and some seemed to have successfully flashed their BIOS again. So I decided to give it a try. First of all I needed some hardware. I searched online for a BIOS programmer, and found a cheap CH314A programmer that should do the job. It had TTL and 3.3V levels, I knew that the BIOS chip was 3.3V so it should work without frying my BIOS chip. Next step was to find a way to program the chip without soldering. I knew that the chip was in SOP8 package, so I searched a test adapter for a SOP8 chip, and ordered one. After about a week the hardware was in, and I could get to work. I found the correct BIOS and found a bin file in the download. Then I installed flashrom and connected all the hardware together. 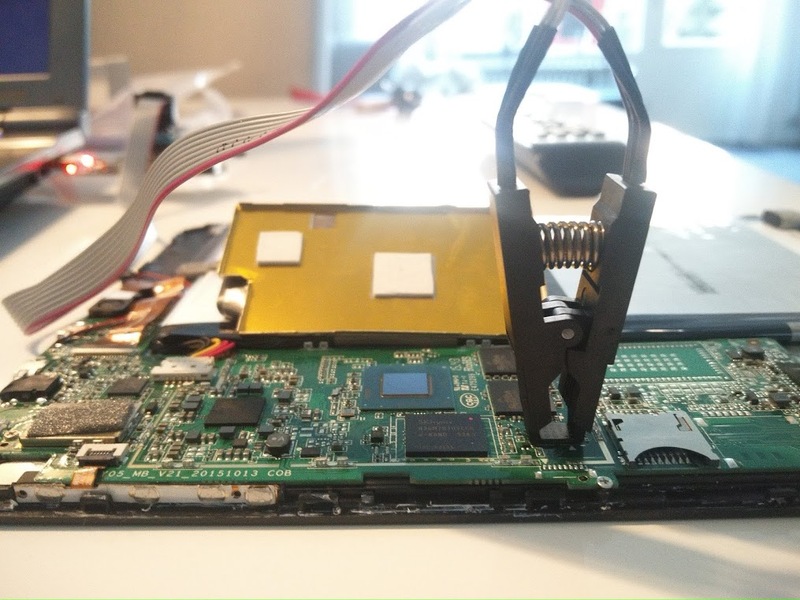 After this, I disconnected the test adapter, disconnected the battery, reconnected the battery and tried to boot. And with success, the tablet booted straight up to Windows! I have the same problem, on windows under device manager, i have update the drivers (there was an option firmware), after i have restarted my tablet it says firmware update and there is a lot of lines of update and suddenly the tablet closed and now i cannot open it, nothing. If i will do what you do then the tablet will be saved? These look identical to the programmer and clip I used. You should have a pretty decent chance of fixing your tablet with these! Hello ted can you please send me a picture of the sop16/8 board in the ch programmer? I have everything ordered and want to cover all angles, also is there a windows utility for this? I’m currently not able to make some more pictures of the programmer, but if you’ve ordered a CH341a programmer it should work fine. There is a flashrom version available for Windows, but I don’t know if this works like it should. I saw someone who did something like this but with a raspberry pi. this is the correct position? check and the jumber, i have put in on 1-2. Yes I’ve put mine in the same position. Hello again, the bios file for what version of onda is? mine is v3 and it’s not working…..
also i search the web and i cannot find the bin file for Onda v919 air cn v3. HI, I have ONDA V919 Air CH 9.7″ Dual boot. As I think you know already, this device does not come with Google Play. Did you find a way to install Google Play services? I’ve only used this device under Windows, so I haven’t. I’ve seen some recommendations to use aptiode. For your issue, go to XDA forums where there is a modified update that drops a new image of Android that permits google services. The tool I used was a BAT script search there for “Mirek190”. Also you need to be careful of what version of the device you have. Thank you for posting this Ted. I have ordered the kit to re-image the Bios. Hopefully I get back this device from the dead. I have a dual boot, so I think the firmware I need to find will be different. Hi there. 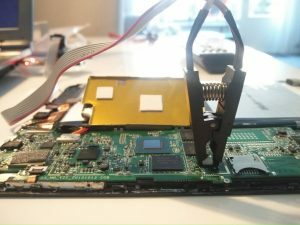 I am trying to restore Bios to default settings by removing the battery. I disconnected the cable from the main battery, but I don’t know if there is a BIOS battery somewhere I should remove? I haven’t found a bios battery anywhere. Probably disconnection the battery is enough? To further explain my problem: I went to BIOS and changed IGD configurations (just changed the mb values that GPU uses). After restart tablet screen is completely black, and HDMI does not work either, so I have no screen…. 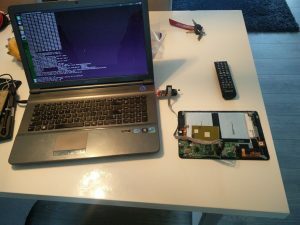 So I am trying to bring back BIOS to default by cutting off battery power. If that doesn’t work I might try your method of flashing. You should do a step by step guide…it would help a lot of people. Removing battery doesn’t fix it unfortunately. Hi. I think I also bricked mine. Not as bad as yours, but I made some changes to the memory configuration in the BIOS setup (I changed into dual channel mode) and now it wouldn’t boot. Do you by any chance know how to reset the nvram without opening the case? or with for the worst case? Is there any back up battery for the nvram inside or I can just let the tablet on to make sure the main battery depleted completely so the nvram will be cleared? Yes, the bios binary was in the zip file as a .bin file. The one I linked worked for my V919 Air CH, but I don’t know if it is the right one for tour tablet. The updates and communication from Onda is not very clear. SD memory card works on this BIOS (Y05W011Neosta_X64 15-12-2015) ? My SD card is determined, but when i her open to crash the OS. Blue Screen of Death, BSoD. OTG -> SD work. Kingston SD HC G10 32gb. My Bios : Y05W010Neosta_X64 10-09-2015 (WidowsHome10x64, no android). Well, my 64GB kingston SD card works flawless. 2) where i have to connect the sop8 test clip: on the 24 series or the 25 series? The first link in incorrect. 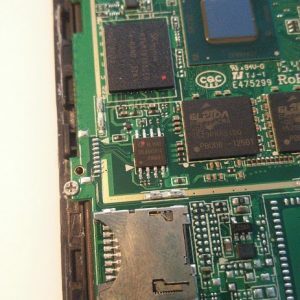 Hi, I followed the steps for flashing a bricked onda and according to my terminal it seems that everything went fine but my onda tablet does not seem to be turning on. What must i do? After flashing I’ve diconnected the battery, waited a few minutes, and than it booted properly. Are you sure you’ve got the right bios with the right tablet?